It has a beautiful defined pattern which is really hard to weave. The ground of this carpet is the main eye-caching point which contains a very intricate design pattern with tiny motifs. The ground in full filled with tiny floral motifs and the color combination looks like the peacock wings. The additional feature is to contain multi color which can easily adjust with any colored furniture in a home. 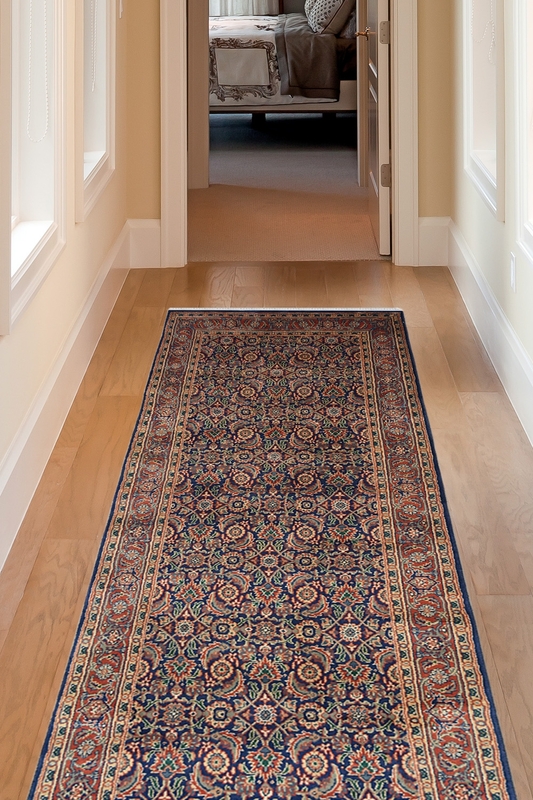 So place this “One of a kind” Hand-knotted wool runner in your home and give a statement to your floor.